With 15 years of experience in developing access control solutions, Saflec Systems never stops innovating. If you want proof, you don’t need to look much further than our SDC-650 door controller. The SDC-650 replaces the SDC-550 and brings with it a host of new features and functionalities. 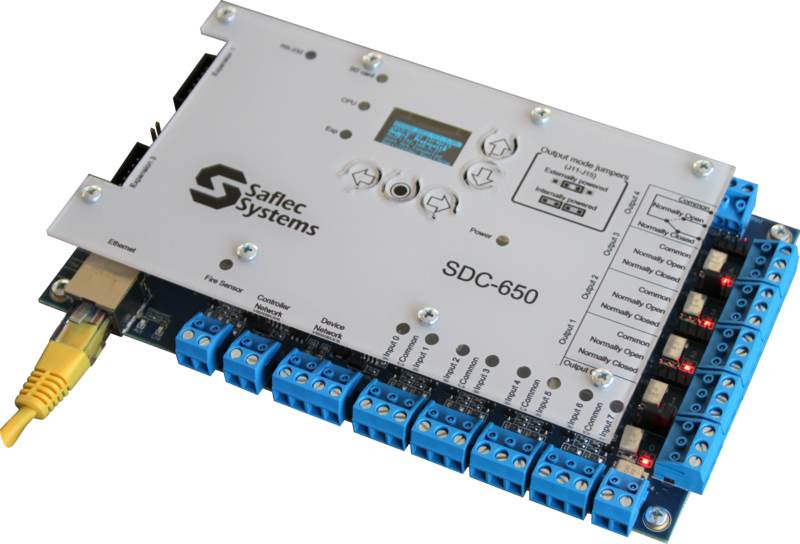 The SDC-650 can control up to eight doors and you can link up to 16 SDC door controllers using a protected RS-485 network. 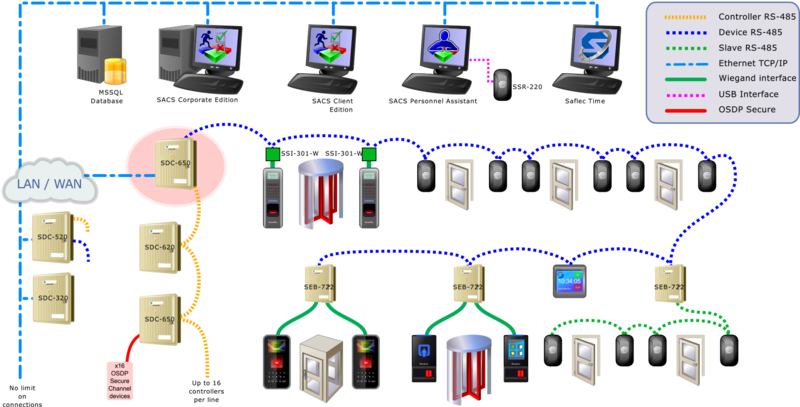 Your PC can connect to it using RS-232, the built-in Ethernet connector or through the RS-485 network via another controller. On-board TCP/IP and RS-232 connectivity. Micro SD for increased capacities, allowing you to store 1 000 000 tags, 250 000 tags holders, more than 6 million access logs and 3 million system logs, and 256 powerful offline event/action combinations. Dedicated Fire and Tamper inputs. OLED control module for easy setup and local diagnostics. Of particular interest to installers is the configuration panel. With its OLED screen, and five control buttons, you can easily change pages or move to another field when configuring the controller. It also has a screen-saving mode; tapping any button will bring the screen to life and allow you to configure the device. Communication with other controllers takes place via a robust, multi-drop RS-485 communications network. Each controller on the network must be assigned a unique address for identification and communications, but this is easily programmed thanks to the aforementioned OLED control module. The unit comes with a 12Vdc 5A power supply and a battery backup of 7Ah, all mounted in a lockable case, making this a sturdy but flexible piece of hardware. 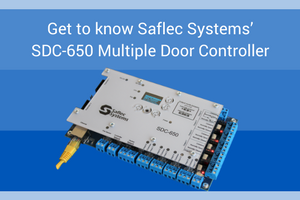 For more information about the SDC-650 door controller or any of our access control and identification products, get in touch with one of our sales representatives or email sales@safsys.co.za. They’ll be able to answer any questions you may have and help you to design your ideal security system. Fargo is a trusted brand of ID card printers with a range that aims to provide end users with a cost-effective, straightforward card printing solution. These printers are easy to install and use and offer excellent value for money. These are compact, versatile printers that offer photo-realistic quality prints. They are the ideal solution for customers seeking a flexible printer with superb print capability and a excellent output capacity. 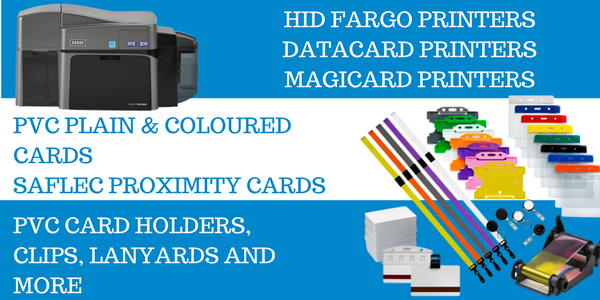 No matter what your ID card printing requirements are, Magicard has a solution. From a simple, single side manual feed printer right up to a heavy duty, dual side card printer, Magicard printers provide exceptional quality at an affordable price. In an effort to provide you with a full-service ID card printing solution, Saflec Systems has included a new range of accessories such as PVC card holders, clips and lanyards (including pre-printed lanyards). With these accessories you can customise your ID cards to match your branding and enhance your image as a professional and established business. With so much more to offer you, Saflec Systems aims to become your one-stop access security control supplier. You also benefit from our professional and knowledgeable sales and support staff. Contact Saflec Systems today to discuss your access control and identity requirements and we’ll help you find the ideal complete solution.